The World or Bust: Happy Halloween!!! A puri offering from the Nagoya Matsuri trip to Ozone. 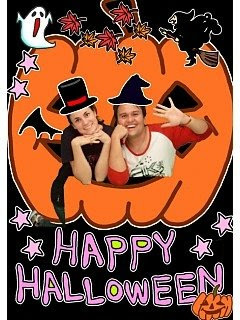 Halloween has lasted a week this year, beginning with my English Circle lesson and Aki's great Halloween Party on Saturday the 25th, extending through Wednesday's Halloween lessons and fun at the elementary school (why did I forget my camera??) and ending with Halloween proper on Friday. 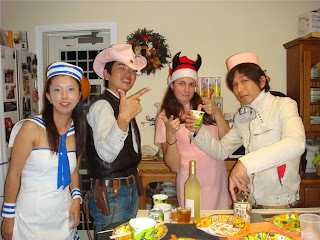 Just a few shots from the party, courtesy of Aki, Harumi and Hiroko. Thanks, ladies! Grant makes a creepy high school girl. Micah, Nick, Sayuri and Paul the Otaku... and one of Aki's students.